It is always such a blessed and fun time to help someone prepare for the arrival of their bundle of joy! 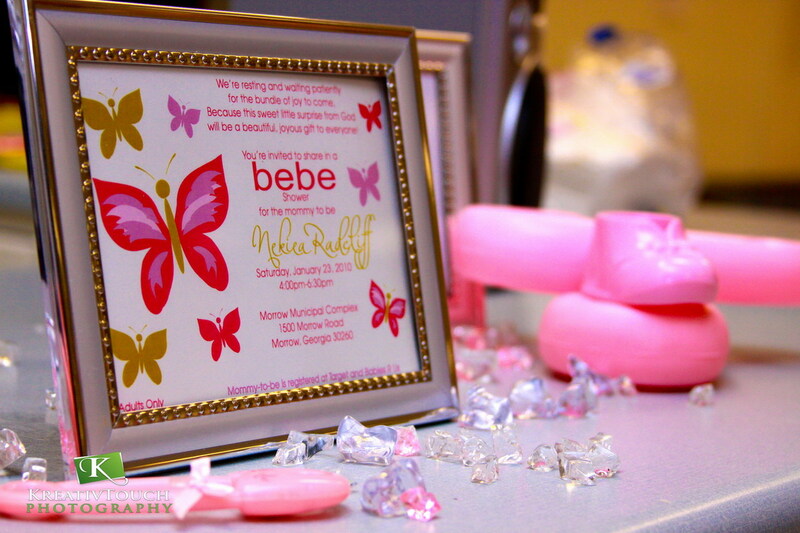 We find great pleasure in creating custom baby shower invitations and other stationery items for themed baby showers. We can create labels, favor tags, table tents, and other printed items that will help to make the baby shower the perfect welcome mat for the little girl or boy whose arrival is anticipated. 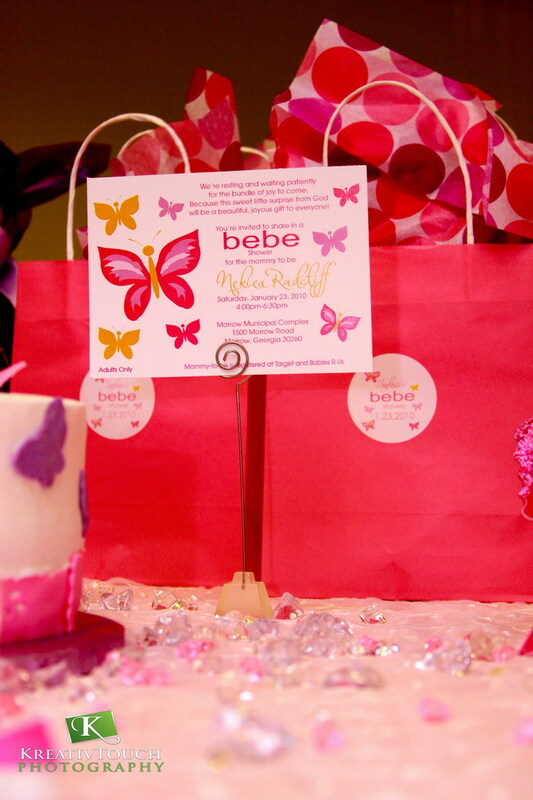 We especially enjoyed working with Monica Jackson of Extraordinaire Affairs & Events as she gave her best friend a “bebe” shower. Fashion was the order of the day so we created a design that was bright and bold just like the fashion label itself! The incredible eye of KreativTouch Photography was there to capture everything. All photos courtesy of KreativTouch Photography. Copyright protected 2010. 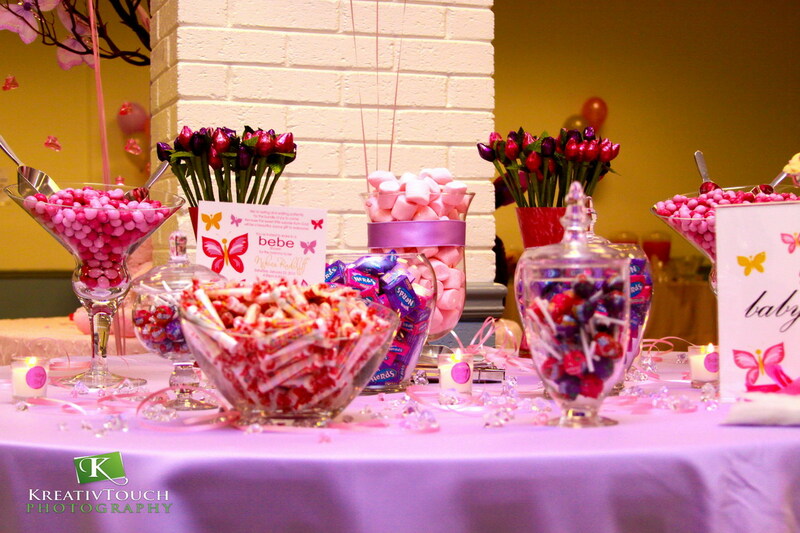 What a “sweet” theme…the butterfly’s set it off too! !